I took this picture on my friend Jon Kryzmanich's property in Bucaro. Jon was with me at the time and also got a very good look at the eagle. Jon has about 70 hectares and we were walking the back of the property and came upon this bird sitting on a fence post. We were very close when it flew off and the noise of its flight was so loud that I knew immediately that it wasn't a "normal" bird. 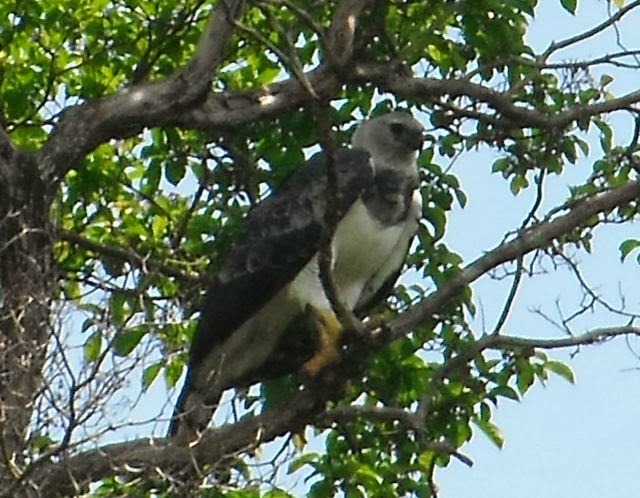 It flew into a nearby tree and Jon and I were able to get right below it. It took off after about 10 minutes. Unfortunately I only had a point and shoot camera so this is the best picture I got. 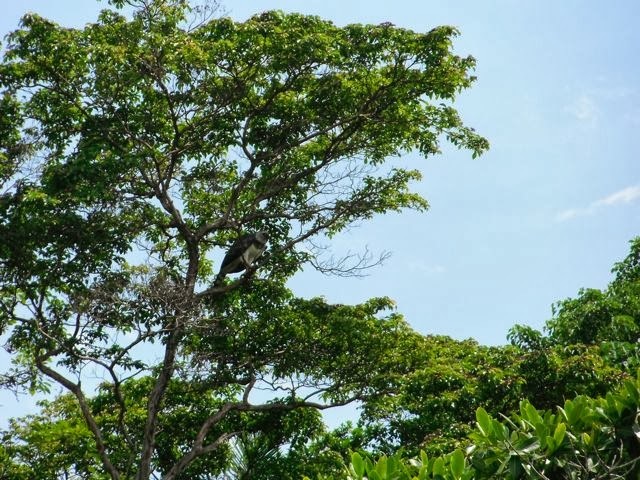 This is the first record of Harpy Eagle from the whole of the Pacific Slope of Panama west of Pacora, and it's not like they're common on the Costa Rica side, either: the closest population in the Osa Peninsula. Nice! Looks like a sub-adult female. And in an area of Panama where very little, if any, Harpies had been reported. Great! Wow, fantastic record! What is the habitat like there? Actually, regarding Costa Rica, if there are left on the Osa, the population is probably not viable and there hasn't been any documented sighting of the species there since 2006 (despite lots of guides out in the field).